Is your décor a little too understated? Spice things up with premium hand towels in a variety of colorful options. 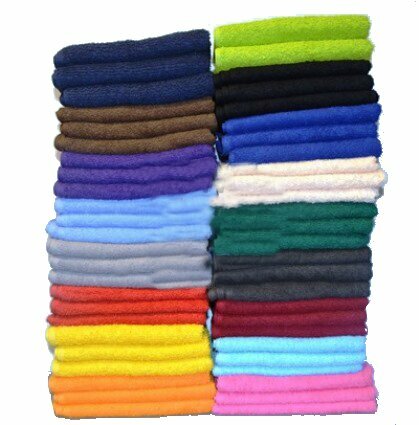 Towel Super Center manufactures high-quality wholesale towels made from 100 percent cotton and provides them in some of your favorite colors. You’ll find all the colors of the rainbow, plus a few more zingers like hot pink, lime green, burgundy, silver and so many more. These 15” by 25” hand towels make the perfect addition to any home’s washroom, or add a little liveliness to your work environment. They can handle any task at your salon, spa, gym or other places of business. 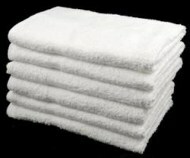 When you order these premium hand towels wholesale from Towel Super Center, you can be confident that our discounted prices go hand-in-hand with quality craftsmanship. They say you can’t judge a book by its cover. Unfortunately, in the competitive world of business, that’s not always true. Clientele make decisions about that quality of your business based on their senses. 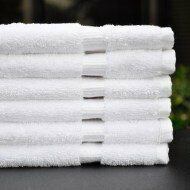 Are you leaving a good impression with your worn and faded towels? Up the ante by buying a whole array of colorful hand towels in bulk from us. Your customers will be blown away by the vibrant shades and the soft, luxurious fabric. Softness: Whether you’re using this towel to dry your kids’ face or to dry your clients’ hands, you want your hand towel to be soft to the touch. Cotton is a plush fabric that keeps its supple texture after many washes. Durability: Colorful towels are mistakenly thought of as weak. However, our all-cotton hand towels are durable. They can resist tearing, stretching or warping when used under normal circumstances. Washability: Cotton is a low-maintenance fabric, making it perfect for businesses like salons or gyms that require multiple washes. They come clean fast, and if they’re properly rinsed, they can resist stains. Odor Resistance: There’s nothing worse than musty, smelly towels. Cotton fibers actually resist holding on to unpleasant smells. Avoid bleaches or bleach products. If your business uses a lot of dyes, astringents or other harsh chemicals, consider purchasing bleach-safe towels from Towel Super Center. Limit the use of liquid fabric softeners as these can fade your towels and take away their absorbency. Try using dryer sheets instead. If there is a spill or accident that threatens to stain your towel, immediately rinse and treat it. Whether you’re a business owner or a parent with a busy household, it makes sense to have a supply of beautiful cotton hand towels ready and waiting. You won’t find discounts like ours anywhere else. They’re far below retail. Plus, the more towels you purchase, the more you save. 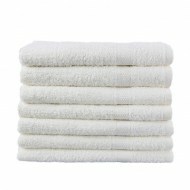 Avoid tons of shipping fees by planning ahead and purchasing all your hand towels today. We can also send your order to a local embroiderer of your choice to have your logo or motto placed on your towels. For the best premium colored hand towels, no one beats Towel Super Center.